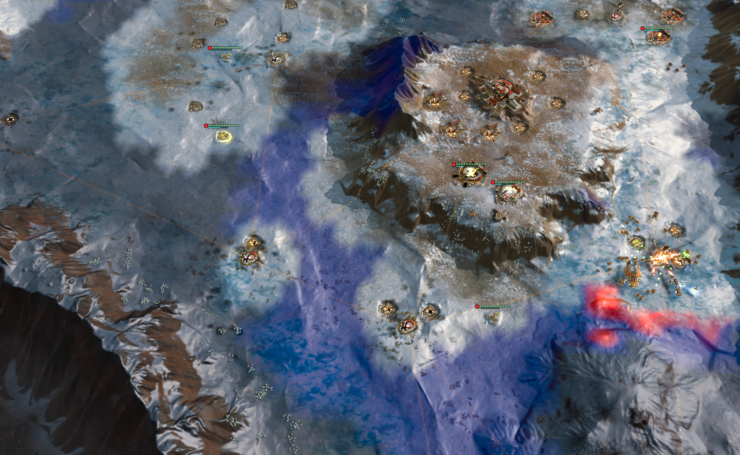 Ashes of the Singularity has been updated to Alpha V.70, which is being called the last major update while it’s in the alpha stage. 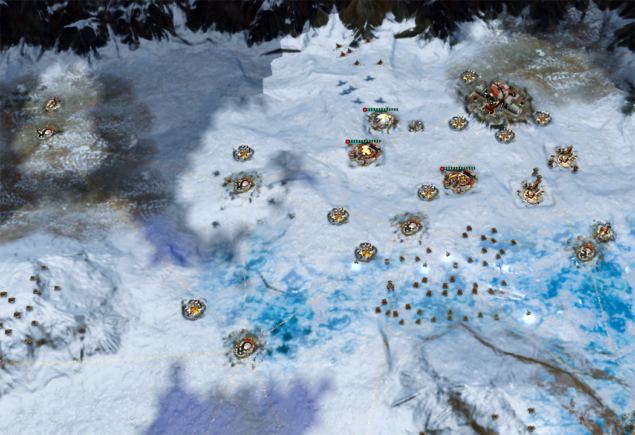 Ashes of the Singularity edges closer to release with Alpha V.70. This update adds a few great things to the Early Access alpha test, from a few new icy locales to giving you new ways to fight your enemies from above the planets surface. But this isn’t all about adding in content to show that they’re moving quickly towards the beta. There are plenty of under the hood and general house-keeping changes to ensure it runs as great as it can with plenty of bug fixes, balance changes and additional art, graphics and musical assets. The full patch notes are below, and check out the great new screenshots of the new glacial settings. Incursion: Take your enemy by surprise and drop a small raiding force behind their lines for an attack they won’t see until it’s shooting them right in the face. Plasma Storm: Your enemy will get a real “charge” out of this one! 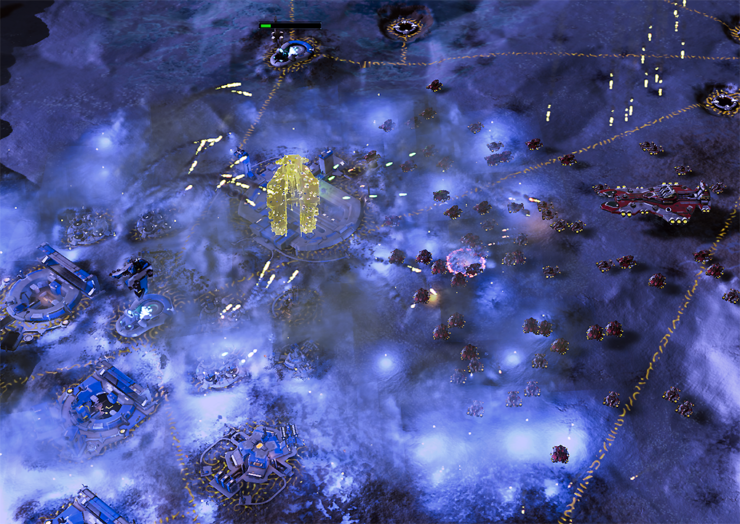 This orbital strike affects an area of your choice and damages all enemy units and buildings over time within that area. Winter is coming…and so are the Ice Maps! The team has added four new maps to the game: Shredded, Crater, Triad, and Frosthaven. As a bonus, Scorpio, Cerius, Aven and Frosthaven maps now also have night environments! Check out these screen shots – we think they’re pretty…cool. Is your early game stuck on “cruise” control? Not anymore! 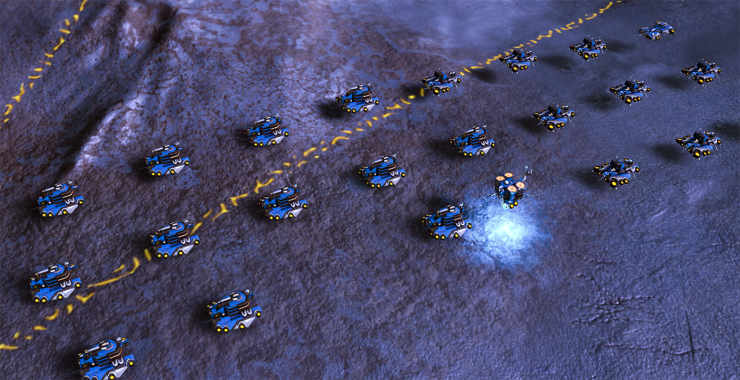 Cruiser units now have their own dedicated factory required for construction. This allows for more variety and interest in early-game decisions as you start to construct your base and raise your army. Don’t draw shadows for MB frames, Re-use Initial frame data for MB frames for detail objects.